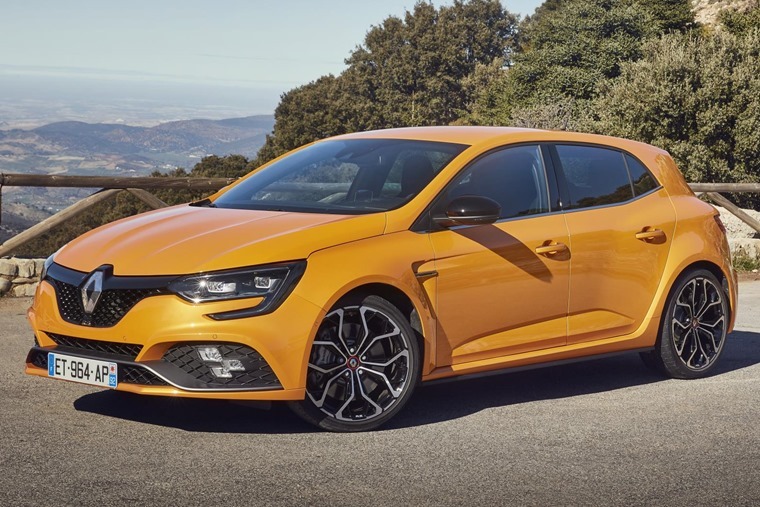 The 2018 Renault Megane RS is on sale now, and available to lease. You can find lease deals here, or read on for all you need to know about the new hot hatch. 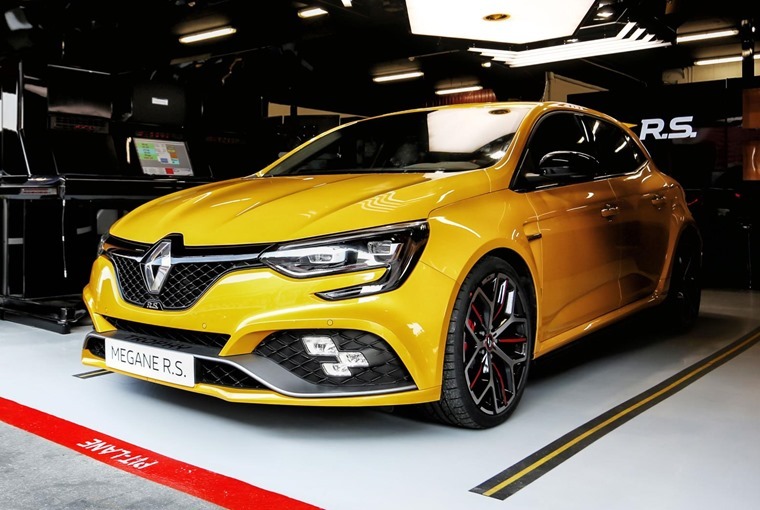 It’s almost two years since the latest Megane launched, and this new 276bhp RS model finally gives it the potency to take on the likes of Seat’s Leon Cupra and the Honda Civic Type R.
A wider body means the RS is wider than the standard Megane – by 60mm up front and 45mm at the back. Other notable features include some funky chequered flag-shaped fog lights and a host of contrasting black trim. Large 18in alloys feature, as does a central exhaust that’s incorporated into the rear diffuser. Despite the enhancements, the new car doesn’t look half as lairy as sporty Meganes of old, something that’ll appeal to fans of the Golf R’s more understated style. The inside is as you’d expect – sportier trim and a set of Renault Sport seats that can come with either Alcantara or carbon-fibre trim. 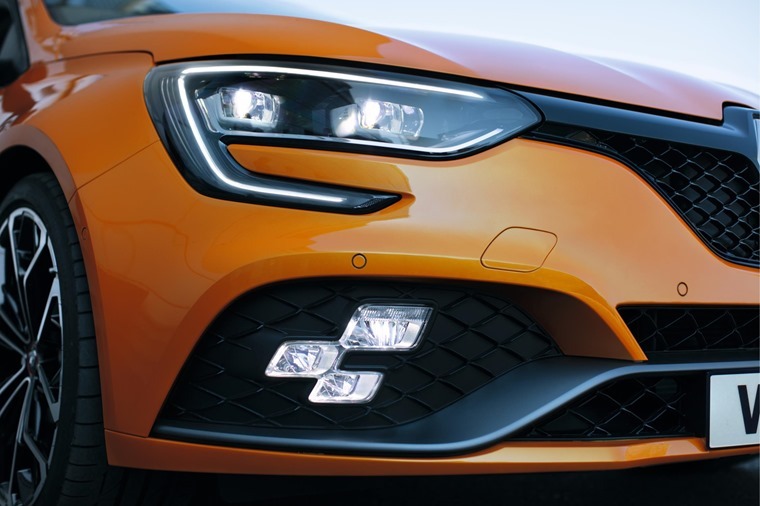 Renault’s 8.7in infotainment system comes as standard and features R-Link software, which in the RS’ case comes with a feature that records driver’s performance. The options list includes Alcantara upholstery and steering wheel, a Bose sound system and of course Renault’s famed Cup Chassis pack. This adds a limited slip differential, uprated suspension components and red brake calipers. It’s a pricey option at £1,500, although those ordering a Megane RS in May will be offered a free upgrade. And now for the important bit – performance. As we’ve seen from numerous manufacturers at Frankfurt, downsizing is the order of the day and as such the old car’s 2.0-litre unit has been replaced with a 1.8-litre turbo. This engine’s already been seen in the Alpine A110 sports car, but the RS version is even more potent with 276bhp and 390Nm of torque. That’s enough to propel the car to 62mph from rest in 5.8 seconds and provides it with a top speed of 158mph. Combined fuel economy stands a little over 34mpg, and CO2 emissions of 155g/km. Two gearboxes are on offer – a six-speed manual and an optional six-speed DCT automatic. The latter is operated via paddle shifts and gets a mode that allows fast sequential down changes. Five different driving modes feature – Comfort, Normal, Sport, Race and Perso – that can be changed on the move via the car’s infotainment system. The car also gets Renault’s latest four-wheel steering system – 4CONTROL. It’s been seen on Meganes already and is designed to boost cornering speeds and improve stability. 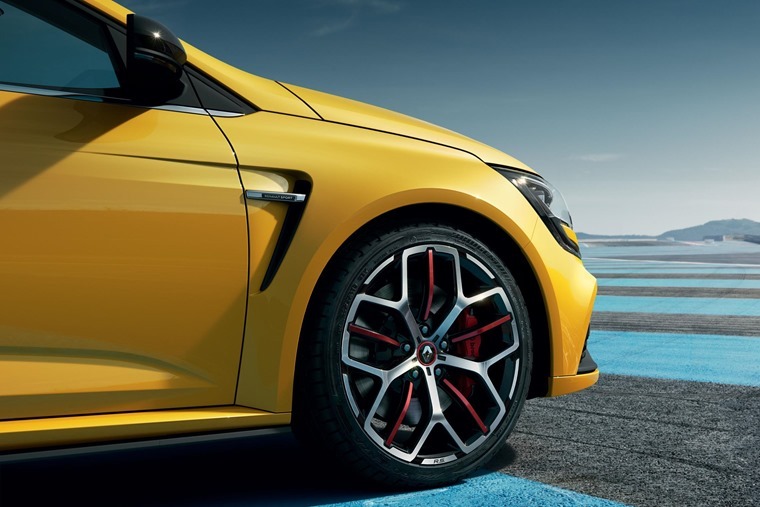 Renault will also be offering a specially tuned RS – the track-focused Trophy (below). It gets the same engine, but tuned to give 295bhp and 420Nm of torque. It also benefits from a stiffened Cup chassis. The RS Trophy is further enhanced with a valve-operated exhaust that increases air flow, bi-material front brake discs, specific 19in ‘Jerez’ alloy wheels and high performance Bridgestone tyres, which can be paired with new, exclusive lighter wheels that reduce total unsprung weight by 8kg. 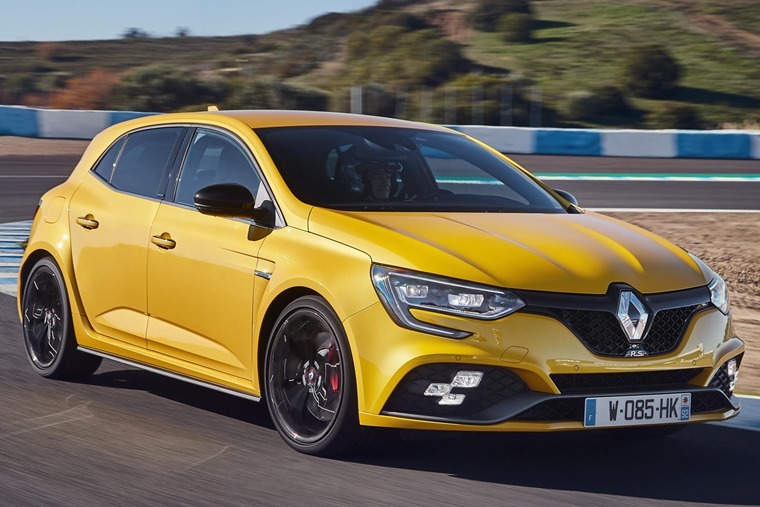 Available to order now, you can find the latest personal lease deals on the new Megane RS by clicking here or, if you’re in the market for something a little less potent, you can find deals on the standard Megane here.